CNN is lamenting the fact that GOP frontrunner for the U.S. Senate in Alabama Judge Roy Moore told pastors and Christians in a speech last month that shootings and killings in American society are the result of removing God from schools. Andrew Kaczynski’s KFile on CNN dug up a video of Moore from late August speaking at Citizen Impact USA, making the comments that have CNN and the GOP establishment in Washington similarly freaked out. “We are losing the acknowledgement of God and I’m standing here talking to Christians and pastors and I’m telling you we’re losing the acknowledgement of God,” Moore said, per CNN’s report. 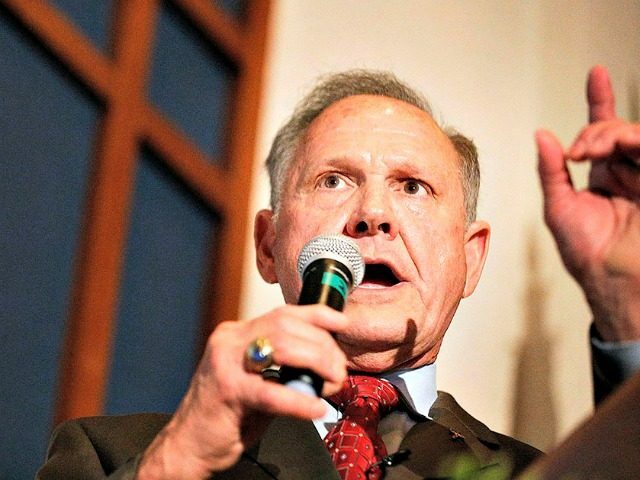 After, per Kaczynski, Moore began “reciting several verses from the Old Testament book of Hosea that deal with lack of knowledge of God,” the front-running candidate for the U.S. Senate in Alabama argued that shootings and killings in U.S. society today is because of the lack of God in public life. Moore went on to cite a recent example of a coach who was barred from going out on the 50-yard line to kneel and say a silent prayer before a football game began. The school district filed a suit which resulted in an injunction to prevent the coach from praying at the 50-yard-line. It is not the first time that McConnell’s organization has been working with CNN to attack Moore, the conservative candidate much more closely aligned with President Trump’s agenda than Strange—the establishment-backed candidate that Trump has endorsed and is set to campaign for later this week. Last week, as Breitbart News reported, Senate Leadership Fund and CNN teamed up to attack Moore for suggesting that the 9/11 terrorist attacks happened as a result of the lack of God in American society. While both that attack over 9/11 and this one over shootings may seem harsh in Washington, D.C., or on the island of Manhattan, the message Moore gave in both actually is a positive one among GOP primary voters in Alabama. Polling data from JMC Analytics has shown that most likely voters in Alabama’s upcoming GOP primary runoff on Sept. 26 do not think less of Moore as a result of these statements, and actually like what he says. The same goes for this latest attack. What is perhaps more interesting, however, is the emergence of a new alliance between Senate Leadership Fund—McConnell’s organization—and CNN. President Trump despises CNN, and calls it a “very fake news” network. 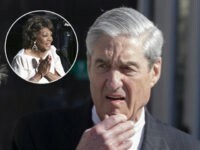 He has bashed the network repeatedly from rally stages, and cheered when three senior CNN staffers were forced to resign earlier this year as the result of a Breitbart News investigation that uncovered they published extraordinarily fake news regarding the Russia scandal. The McConnell group’s decision to keep working with CNN to attack a GOP candidate who supports the president’s agenda, Moore, and create further division inside the GOP is not the only time the group has lined up against President Trump and his agenda. The Senate Leadership Fund has been caught in the act of publishing deceptively edited videos falsely suggesting that Moore does not support the president’s planned border wall. Creating division inside the GOP and falsely alleging that a Republican does not support the president’s agenda is in and of itself an attack on the president and his agenda.